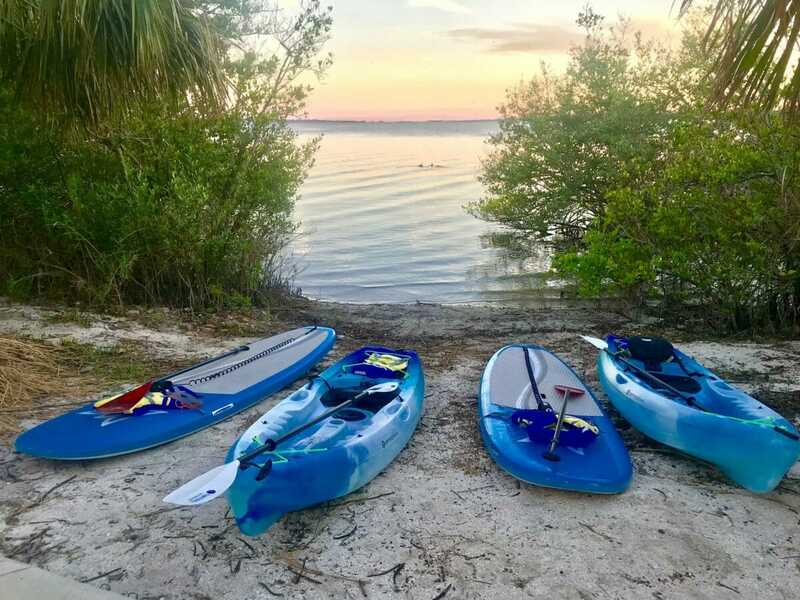 SoBe Surf & Paddle has waterfront kayak and stand up paddle board rentals at the Brevard Veteran’s Memorial Center (3 miles from Cocoa Beach, behind the Merritt Island Mall), located at 400 S. Sykes Creek Parkway, Merritt Island, Fl 32952. Book online and go directly to the Veterans Center, or call us from the Veteran’s Center and we will be right there to help you (our shop is minutes away). 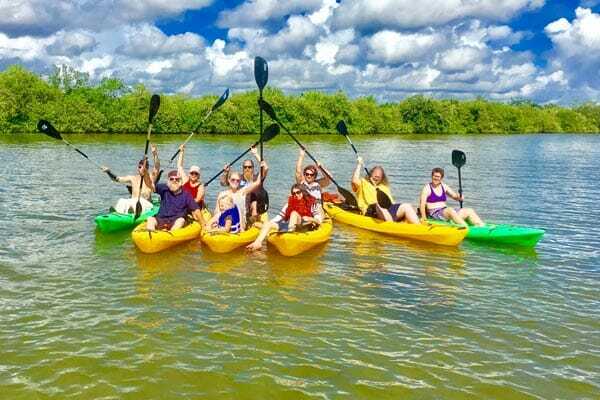 Mix and match kayaks and paddle boards, we have a huge selection of equipment for all skill levels kept just steps away from our water launch into the Banana River Lagoon Aquatic Preserve. The launch is right behind the Vets Museum building (see photo at top of page). A percentage of all our rental fees go to support our great Veterans! 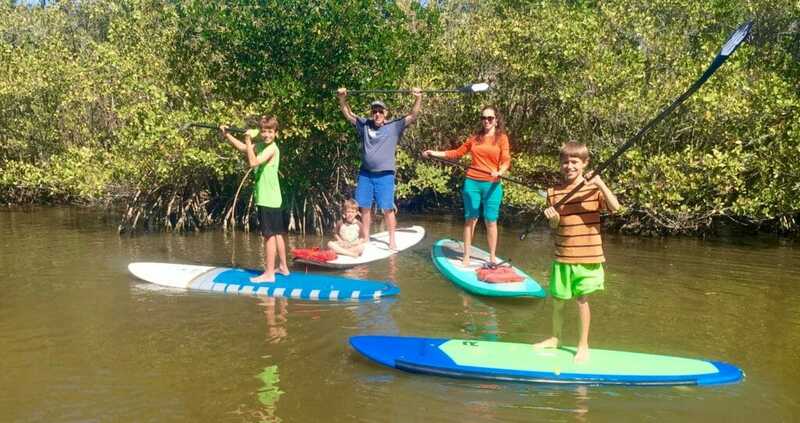 Rent a stand up paddle board or kayak near Cocoa Beach, on Merritt Island, Florida. You can mix and match our wide variety of stand up paddle equipment for rent and luxury high seat back kayaks for rent. 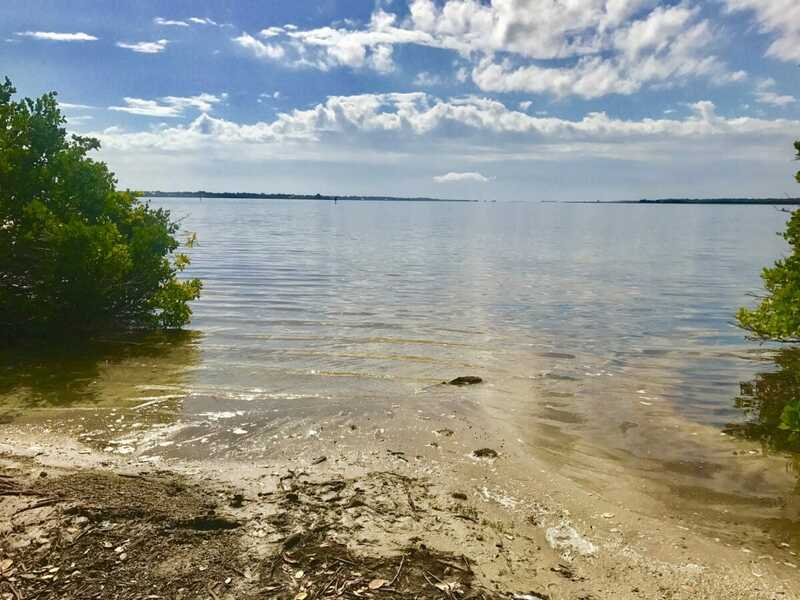 Both will give you access to the beautiful Banana River Aquatic Preserve! 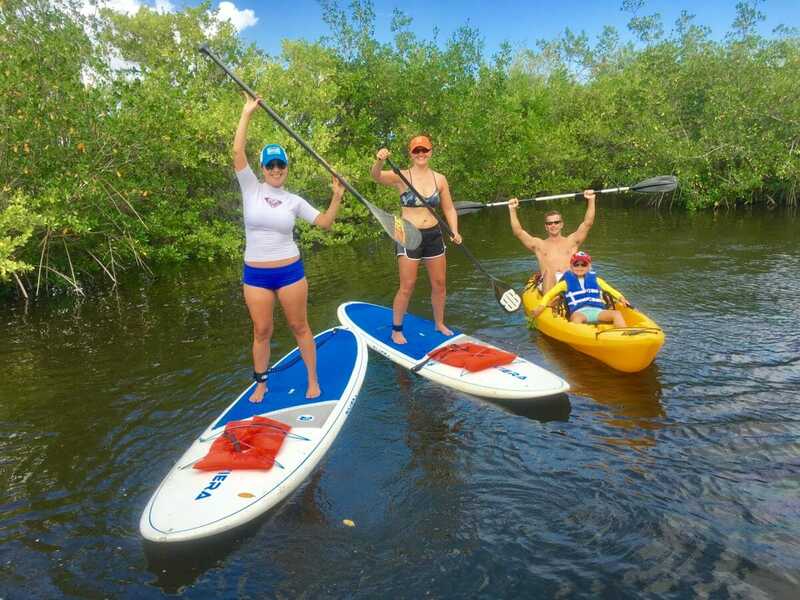 All day rentals just $35 for paddle boards and single kayaks, or $25 for 1.5hr rentals! Double kayaks are just $10 more. “While on a business trip in Cocoa Beach, I extended my trip to hang out with my cousin who was also working in the area. We were looking to do some stand up paddling, but both being new to the area, we weren’t sure where to go to rent equipment. A friend suggested we check out Sobe surf, and ask for Girard. “Awesome suggestion…Girard was super cool & had a wide variety of boards, which was perfect because we ended up taking out a group of 4. The best part was that the rental location was prime…we literally walked 50 ft from the car, to the rental office, to the beach. We put the boards in the water and were off. While out enjoying some SUP, we were lucky enough to see a dolphin who decided to hang out with us for a while. Priceless! To schedule and reserve, simply use the book now button at the top of this page. Alternately, you can call us at (321) 926-6571 and we’ll get you all taken care of!